Happy June everybody! Last weekend was the unofficial kick off of summertime. All of those bizarre chilly days are finally behind us and now we're on to cookouts, beach days and any activity that involves being outside. Who's excited?! June is National Rose Month in the US. Roses are one of the most popular and recognized flowers. There are now more varieties than ever and are bred for high quality and a long vase life. 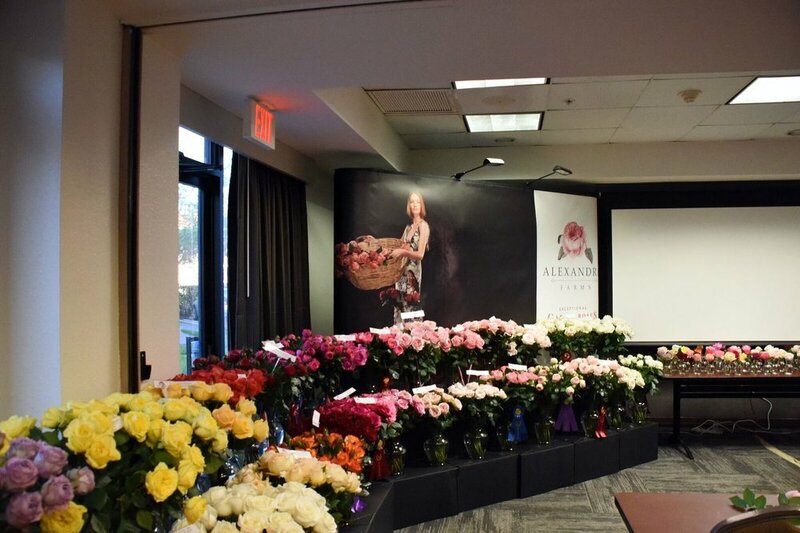 Recently we had the opportunity to learn more about Alexandra Farms Garden Roses. 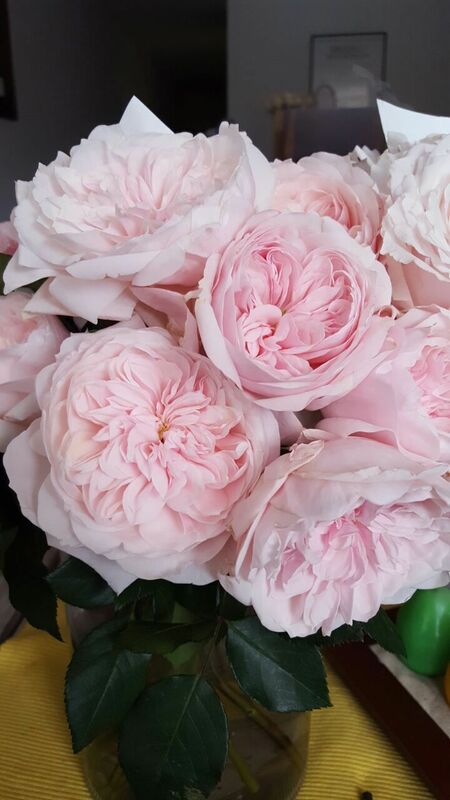 Garden roses are those luxurious, textured and sometimes heavily scented roses you see in bridal magazines and all over Pinterest. Move over peonies- with their year round availability and wide range of colors, garden roses are the new IT flower. Photo courtesy of Alexandra Farms. Alexandra Farms is a boutique rose farm in Bogota, Columbia. 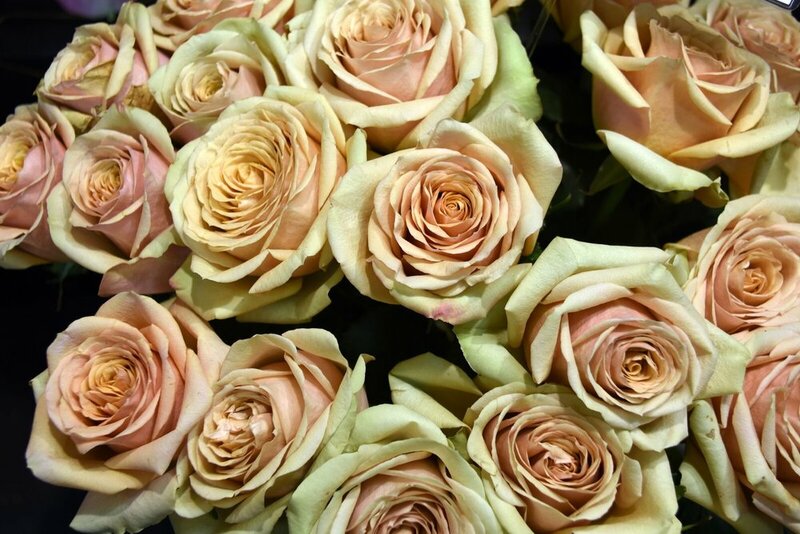 They only grow garden roses, all hand-picked, hand-graded and hand-packaged. Currently they are growing 48 commercial varieties of garden roses and 6 pre-commercial varieties. They are one of the four licensed farms growing David Austin roses- very impressive! Alexandra Farms also grow deluxe garden roses (with French, Danish, Dutch and German origin), Japanese garden roses (known as their 'Princess' collection) and most recently a branded Japanese rose line 'Wabara'. The Japanese grow some outstanding and fabulous product but we'll get into that another time. 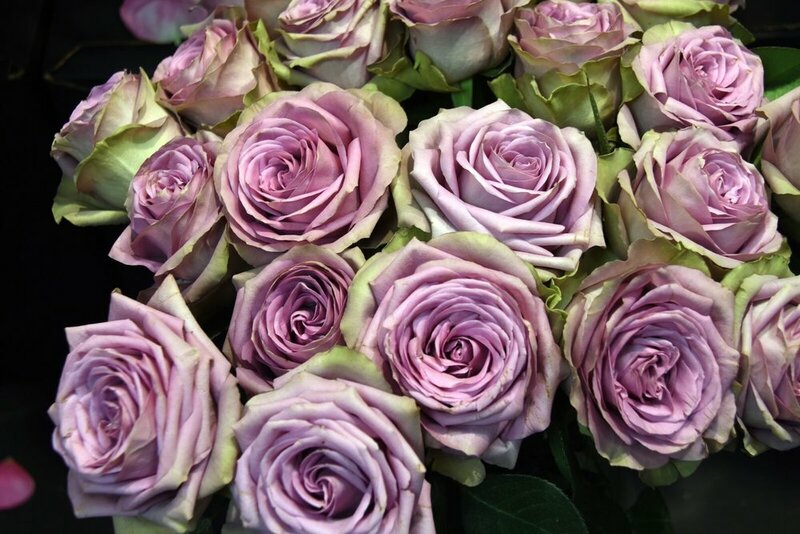 Did you know David Austin has been a rose breeder since the 1950's? David Austin roses are world renown. As with any cut flowers, be sure to give your garden roses a fresh cut before arranging them in a vase with cut flower nutrient. Change the water and recut the stems every other day to ensure a long vase life. Keep away from direct sunlight and heat. We proudly use Alexandra Farms Garden Roses. At Russo Fabulous, we only use the highest quality blooms in your wedding and event designs. You can trust us with properly handling these and other premium blooms prior to designing. With our extensive experience, you can expect these garden roses and other flowers to look their best on your big day. We have limited availability for late fall and winter 2018 weddings, but, we are currently booking 2019 dates! Get in touch today or let your engaged friends know. Who wants to carry a luscious wedding bouquet featuring these amazing Alexandra Farms garden roses?! Have a great weekend and don't forget to stop and smell the roses.